I have a lot of travel coming up before the end of the year (London, Chicago, France, Boston, Wichita) and I need a way to make sure all my health and beauty products stay organized better than the series of plastic zip lock bags I currently use. Which is why I am seriously eyeing the Hanging Travel Kit I found from the fine folks at Levenger. 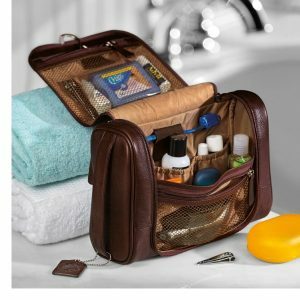 Find the Hanging Travel Kit from Levenger here. Find all the quality products from Levenger here. Lost Cowboy is powered by	WordPress 5.0.4 and delivered to you in 0.849 seconds using 40 queries.